Tokyo & Bangkok, November 16, 2017– Rakuten, Inc. and Golfasian Co., Ltd. today announced that the two companies have reached an agreement to strengthen existing collaborations in the golf and travel sectors. Based on this agreement, both companies will work to increase referrals of tourists traveling between Thailand and Japan to play golf, and expand their services by harnessing both companies’ knowledge and expertise in the golf and travel sectors. As part of the collaboration agreement, Rakuten GORA customers will be able to make reservations at a larger number of Golfasian-registered golf courses than at present. They will also be able to make overseas golf tour reservations utilizing the Golfasian network. Meanwhile, Golfasian customers will be able to make overseas golf tour bookings at a greater number of Rakuten GORA-registered golf courses in Japan than at present. Through collaboration with Rakuten GORA and Rakuten Travel, Golfasian aims to offer its customers a wider variety of options for golf tours in Japan. 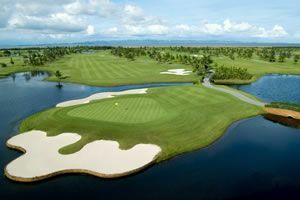 Both companies also plan to carry out promotional activities related to golf competitions held in Thailand by Golfasian*. 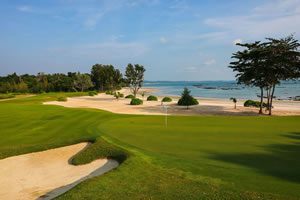 Established in Bangkok, Thailand in 1997, Golfasian offers golf course reservation and golf tour reservation services in several Asian countries, including Thailand, Vietnam, Malaysia, Indonesia, Cambodia, Singapore, Laos and Myanmar. Golfasian also offers a golf tour reservation service in which customers can freely customize their trip to suit their needs, allowing users to choose options such as the duration of their stay, the budget, and preferred golf courses and lodging facilities. Rakuten GORA, which is operated by Rakuten, Inc., is one of the largest golf course reservation sites in Japan. It handles a wide range of golf plans, including reservations for golf courses, golf competitions, golf lessons, and more, at some 1,900 courses within Japan. Rakuten GORA also offers an overseas golf course reservation service for Japanese customers, allowing them to make golf course reservations in Hawaii, Guam, Saipan and Thailand. Rakuten Travel is a travel reservation service operated by Rakuten, Inc.. It offers online reservation services for lodging facilities in Japan and overseas, airline tickets, rental cars, express buses, and more. Based on this agreement, Rakuten and Golfasian will strengthen their collaborations across a variety of initiatives, and work to improve the convenience of their services in both the golf and travel sectors. * Please check the webpage for details (https://www.thailandworldmasters.com/the-event/event-schedule/). Company name: Golfasian Co., Ltd.